Crystal Cleaner - Boost & Clean is the application for various Android devices. 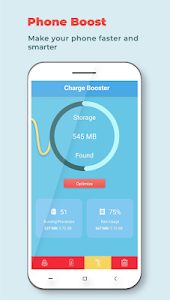 It helps a user to boost work performance of your device, remove junk from the data storage, cool CPU, block some other applications, turn the device to a battery saving mode, delete application's cache, and turn off useless alerts. 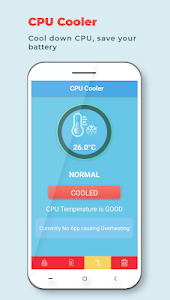 Crystal Cleaner is the one and only application you need to boost a smartphone and remove objectionable files. 1. Deleting the application's cache. This feature analyzes all installed applications and deletes a cache if it doesn't affect the smartphone performance. 2. Unused files removal. This mode is designed to clear data storage through deleting temporary, advertising, history and objectionable files. 3. CPU booster. It's another option that can have a positive impact on your device performance. CPU booster closes applications are executed in a background mode without loading of the central processor unit. It helps to boost rates up to 60%. 4. 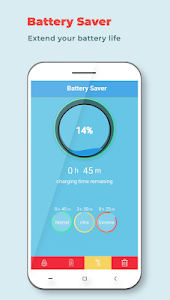 Battery saving mode allows a user to click once at a highlighted button to kill tasks and close applications that heavily use battery power. When battery power indicator turns low mark this function reminds you to close mentioned applications. 5. Turning off useless alerts. If you want to turn off useless notifications just activate this option whenever you want it. The process of optimizing your device work performance rate and other ratios never was so easy. The contemporary boost and clean application has the easy-to-use interface with a significant number of essential modes. No hidden payments or advertising in this application. 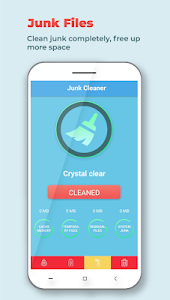 Just install Crystal Cleaner - Boost & Clean application to fully use your device capabilities. This is a powerful tool for stable work of the whole Android device.